Results show that 1% pimecrolimus oily eye drops are as safe as and more effective than CsA ointment in controlling KCS in dogs. 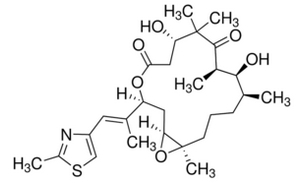 Pimecrolimus, belongs to the ascomycin class of macrolactam immunosuppressives, acting by the inhibition of T-cell activation by the calcineurin pathway and inhibition of the release of numerous inflammatory cytokines, thereby preventing the cascade of immune and inflammatory signals. Pimecrolimus has a similar mode of action to that of tacrolimus but is more selective, with no effect on dendritic (Langerhans) cells. It has lower permeation through the skin than topical steroids or topical tacrolimus although they have not been compared with each other for their permeation ability through mucosa. In addition, in contrast with topical steroids, pimecrolimus does not produce skin atrophy. It has been proven to be effective in various inflammatory skin diseases, e.g., seborrheic dermatitis, cutaneous lupus erythematosus,oral lichen planus, vitiligo, and psoriasis.Tacrolimus and pimecrolimus are both calcineurin inhibitors and function as immunosuppressants. 1. Ron Ofri et al: The Veterinary Journal 179,1(2009) 70–77 "Clinical evaluation of pimecrolimus eye drops for treatment of canine keratoconjunctivitis sicca: A comparison with cyclosporine A"